Ensure a successful transition to any area high school for students and their families. Middle School Service Hours Requirement: Middle School students are required by diocesan curriculum standards to complete service hours. They must be completed by May 1st of the grade year, and can begin over the summer prior to the start of grade year. Service hour forms must be completed and turned in to Mrs. Fincher. 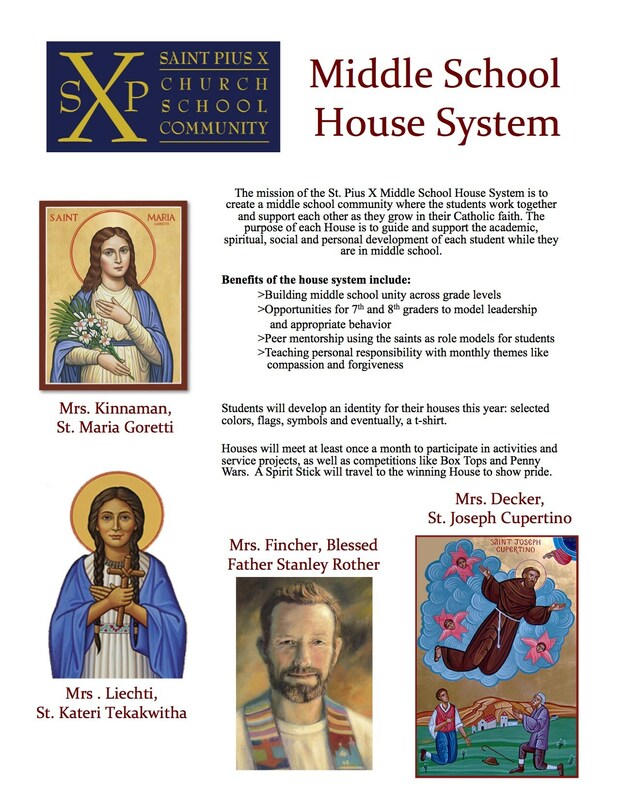 Introducing our Middle School House system designed to build community and inspire leadership and good citizenship!